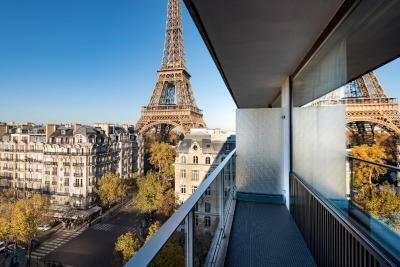 Lock in a great price for Pullman Paris Tour Eiffel – rated 8.4 by recent guests! We loved everything! The location and view were absolutely amazing. Probably the best location and view. Very nice area. Modern style hotel. •The service was quick and friendly (checkin/out, breakfast, and interactions in between) •The location of the hotel is amazing! (Eiffel Tower is a 1 minute walk, Trocadero & Metro Station are 5 minute walks) Felt very safe at and nearby. •The view for the Eiffel Tower Room w/ balcony is phenomenal. •The bar and restaurant connected to the hotel was new and had excellent food and drinks. The staffs were polite.. This hotel is amazing if you just want to view the Eiffel Tower and maybe a walk around the neighborhood. So worth it for the view!! Excellent and friendly staff! Would definitely stay here again! Great customer service people, they were very nice and polite. The breakfast was awesome!! The location was AMAZING - stunning view of the Eiffel Tower and centrally locates to many area attractions. Easy to get to Metro always a taxi at your disposal. The hotel staff was so friendly and accommodating. Far exceeded our expectations! 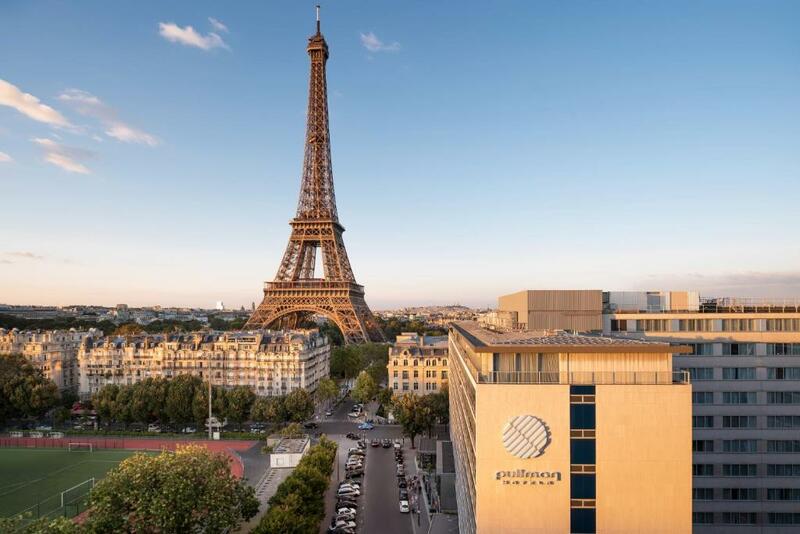 One of our top picks in Paris.The 4-star hotel Pullman Paris Tour Eiffel is set at the foot of the Eiffel Tower and the Trocadero. The fitness room with cardio equipment, open 24 hours a day, offers unrestricted views of the Trocadero, while you can enjoy dining on the terrace at the restaurant, Frame. 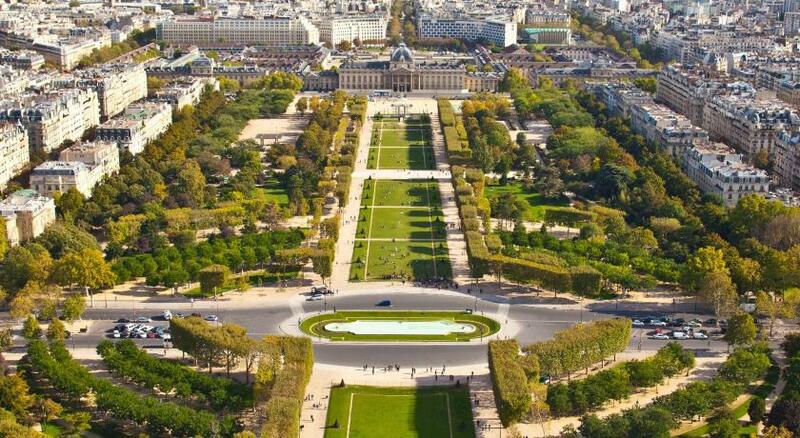 The property is located 3.1 mi from the Parc des Princes Stadium, only a 10-minute drive away. The hotel's restaurant serves Californian-style cuisine with French flavors. It has an open-plan kitchen and a stylish wine bar. A connectivity lounge featuring computers and printers is also available in the hotel. Several types of breakfast are available each morning including Asian, vegetarian and gluten free options. 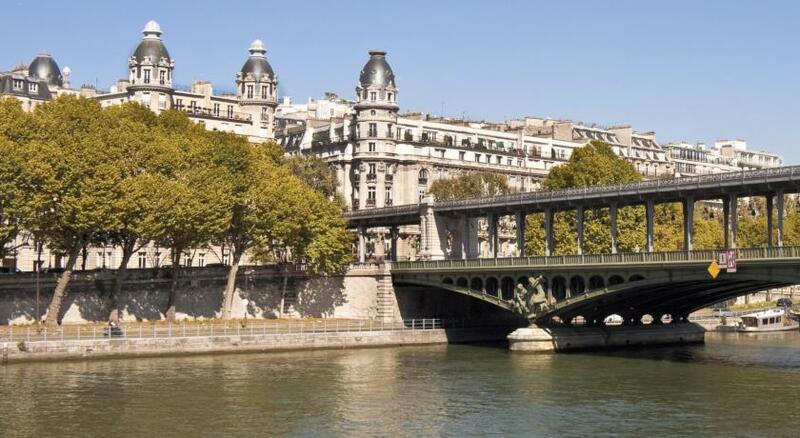 Pullman Paris is on the Left Bank, just a 5-minute walk from the Eiffel Tower. It is conveniently located 1,950 feet from the Bir-Hakeim Metro Station (line 6), providing direct access to the Arc de Triomphe, Champs Élysées and Louver Museum. Public parking is available on site. The "Bus Direct" shuttle service, which offers direct access to Charles de Gaulle Airport and Orly Airport is just a 2-minute walk from the hotel. When would you like to stay at Pullman Paris Tour Eiffel? This brand responds to a new generation of travellers who seek performance and pleasure. Located in the heart of major business and tourism hubs, the hotels offer welcoming spaces to relax. Hotel surroundings – This neighborhood is a great choice for travelers interested in romance, tourist attractions and ancient landmarks – Check location Excellent location – show map Guests loved walking around the neighborhood! 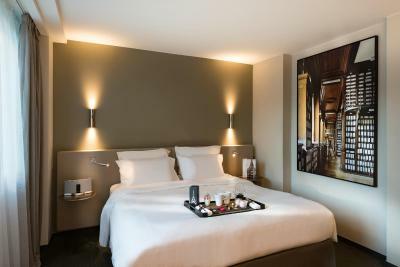 House Rules Pullman Paris Tour Eiffel takes special requests – add in the next step! Pullman Paris Tour Eiffel accepts these cards and reserves the right to temporarily hold an amount prior to arrival. Early check-in and late check-out are possible with a EUR 60 extra charge, depending on availability. Too modern for a hotel in the heart of Paris. Very clean very big rooms and I was upgraded at check in to a better room. Special thanks to the best Receptionist Lilian❤️ made everything much better with his smile everyday and was extremely polite and helpful. There staff did not keep in communication when it came for me ordering bottles of champagne and being at the room for when we arrived as well as for the photo shoot. Made it seem that i haven’t paid for the bottles in advance. It was my daughters 18th and the hotel staff were amazing! They sent a gift to our room at midnight and also got her a birthday cupcake at breakfast the following morning...she was over the moon! Unable to connect to films in room despite complaining everyday. Poor re filling of items in room as decaffeinated coffee, milk, new card to order breakfast room service etc. Housekeeping took away one of dressing gowns for no reason !! Slow reception staff for check in and check out. Tried to charge me an extra 20 euros for the booking on top of tourist tax despite me paying in full through booking.com. Slow service at Lunch as staff too busy talking to each other. 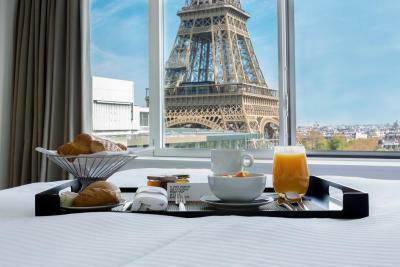 Beautiful, comfortable clean room with outstanding view of Eiffel tower. Ordered breakfast room service and paid extra 5 euros per person - amazing breakfast and service. Amazing, delicious food in restaurant at a reasonable price. In general, friendly accommodating staff. Fantastic safe location to explore Paris. Will definitely return and recommend to other people. Everything was wonderful and excellent, the staff were super professional and they gave us the best Eiffel Tower view! They just made our vacation perfect.. for sure I’ll came back again to this hotel. We were expecting a room with a view of the Tower, we had a city view. Breakfast was fantastic, the hotel is set in a great location a few meters from the Eiffel Tower. It became frustrsting to find on several occasions that we had to ask for the coffee facilities to be replenished. We were not checked in until 4 pm. We did not est dinner at the hotel but they said we did. Probably somebody eşse said the wrong room number. Tjey do not have track of any payments. You beed to keep your receipts all the time.